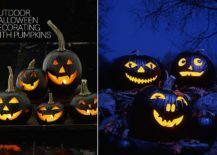 It is that time of the year when the spooky and the strange take center-stage in our lives and it seems to be all around us; all the time! 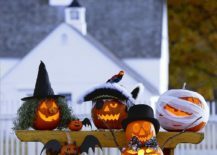 Whether you switch on the television, try to catch a movie or just are taking stroll down your street, Halloween leaves its dark and scary footprints pretty much everywhere. 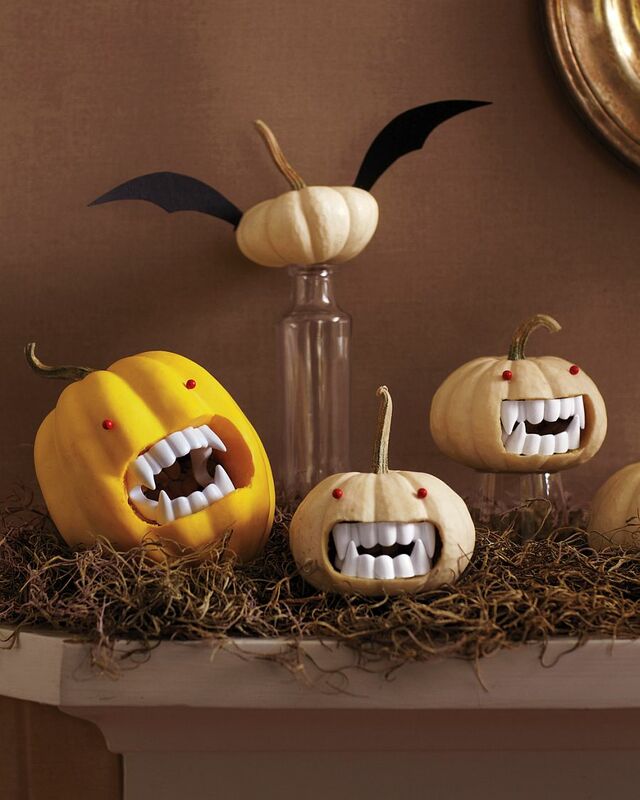 Sometimes it feels far too cheesy and then there are occasions when things just go over the top. 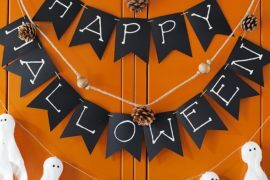 As an adult it is very rare when you are really scared or feel a chill down your spine while taking in all the Halloween festivities. 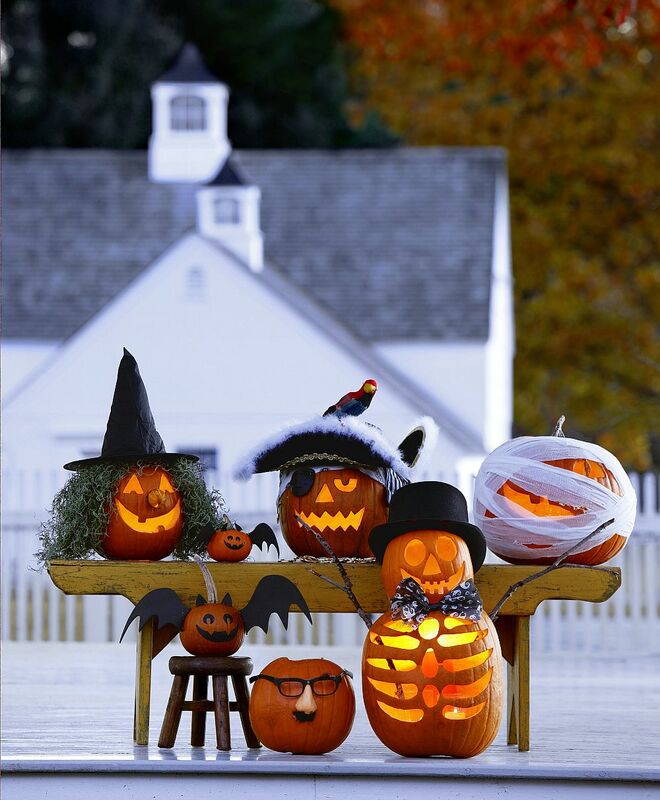 But getting your home, kids and yourself ready for the big night is still plenty of fun. 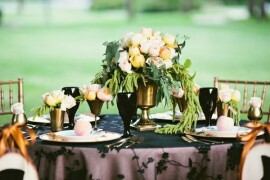 Most of us have already completed 90 percent of our preparations for the big day. 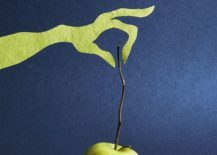 And then there are those who want to get started just one day before the big night; a substantial bunch who simply do not have more time to spare. 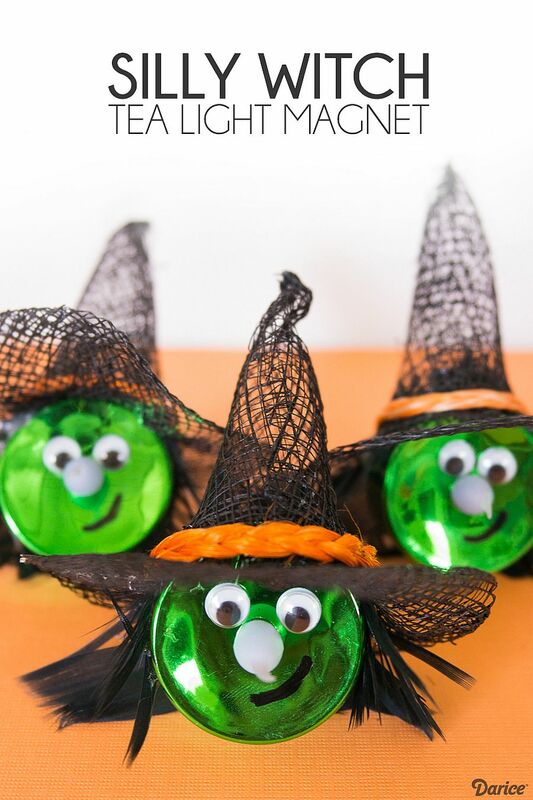 Whether you fall in the former category and are just searching for some last-minute easy Halloween DIYs to fill the gaps or are someone who is on the lookout for super-easy Halloween crafting ideas that you can get started on and finish within an hour, today’s DIY guide is for everyone. 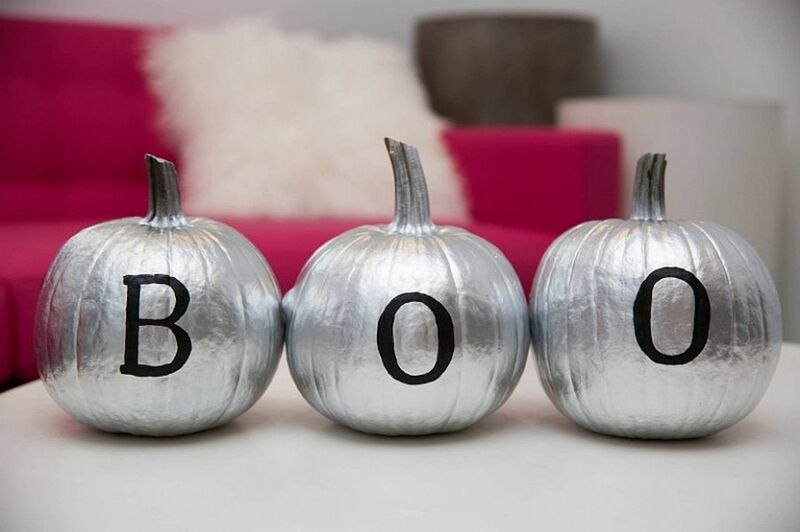 It is never too late to join in on the scary! 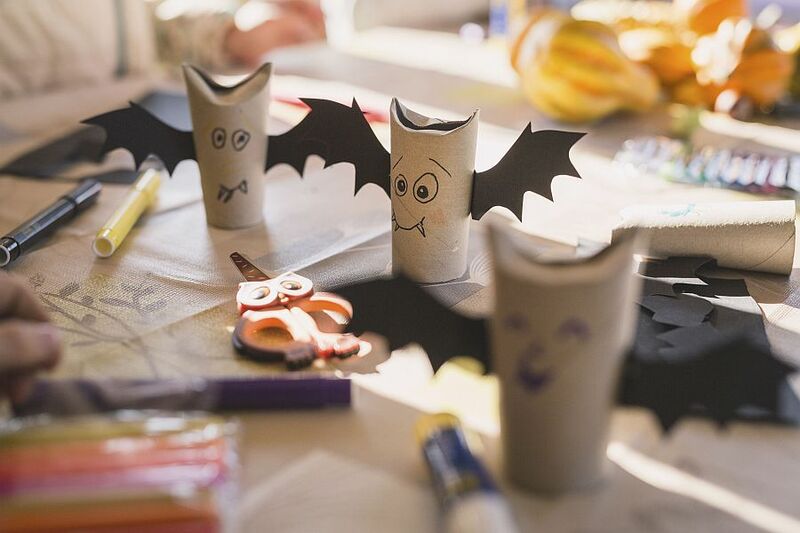 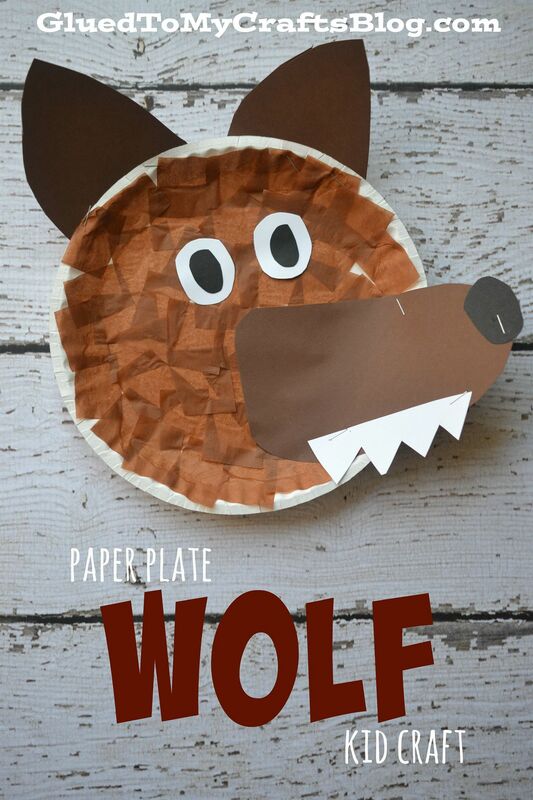 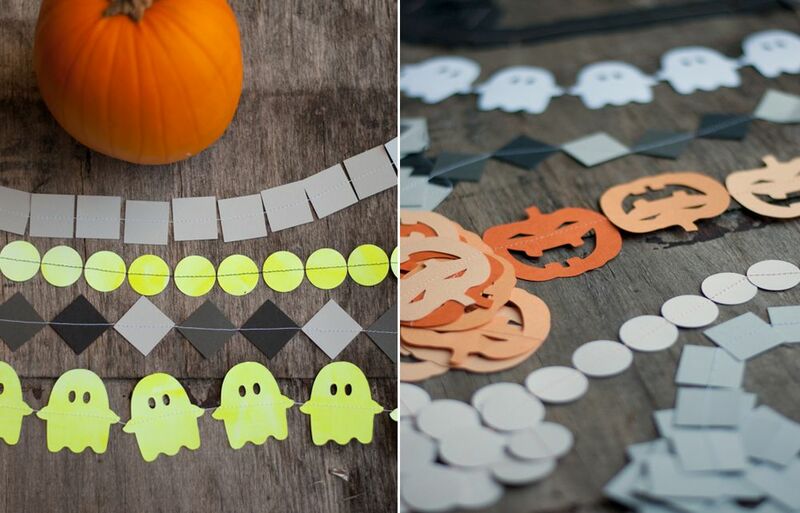 Kids’ Halloween DIYs do not take much effort to craft, are super easy to execute and take very little time. 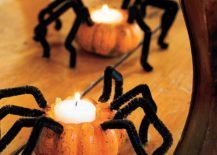 This not only makes them great for the little ones but also for adults who want to put together a great Halloween party for their tiny tots in absolutely no time at all. 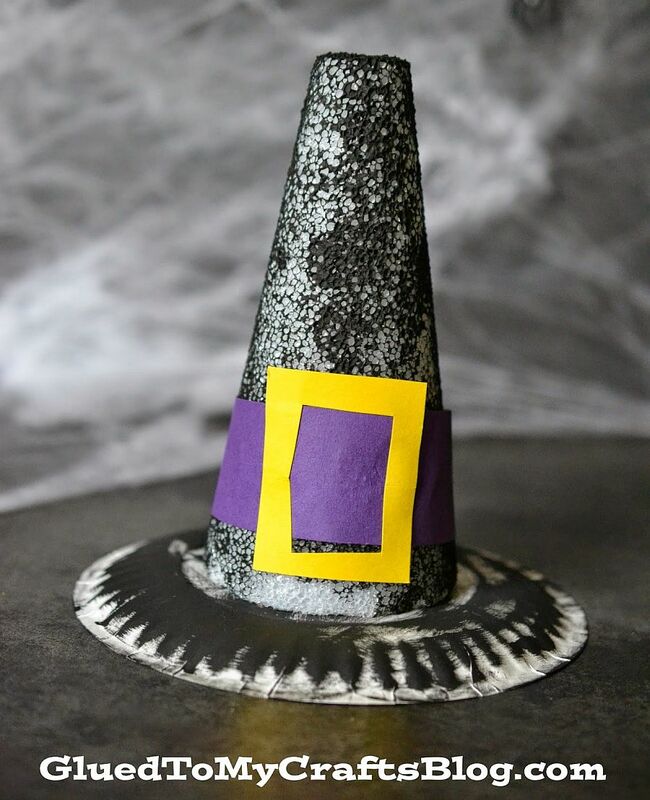 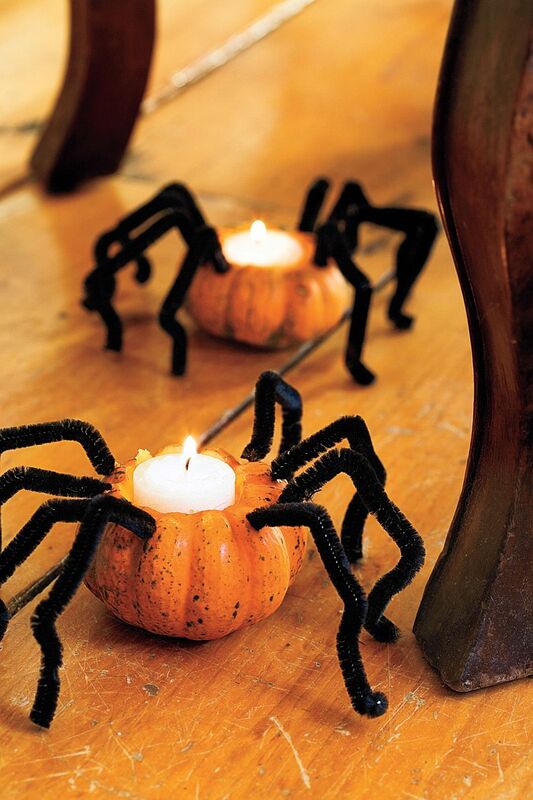 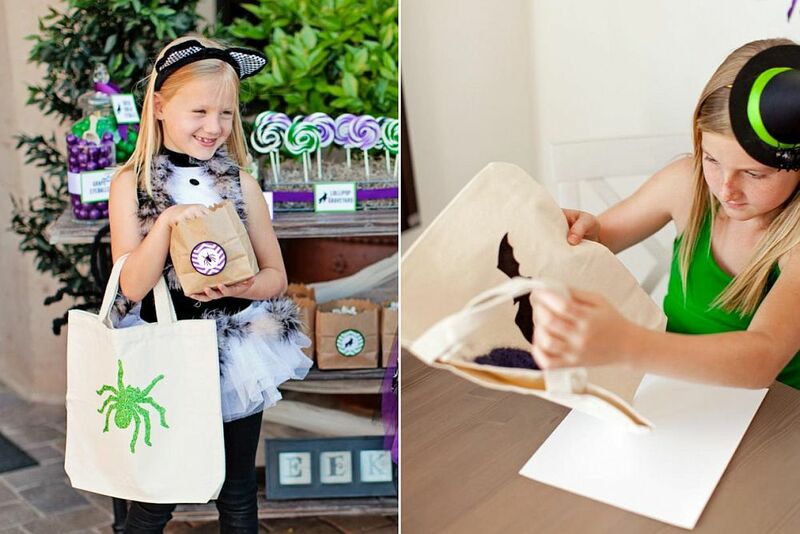 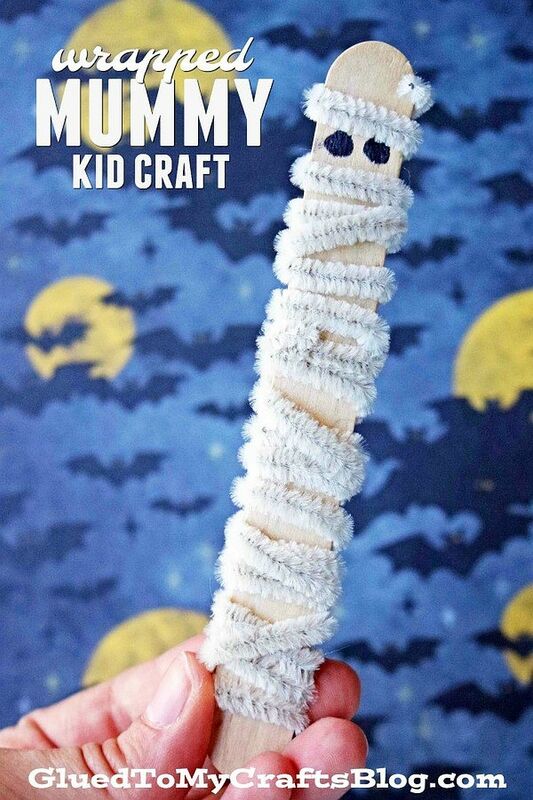 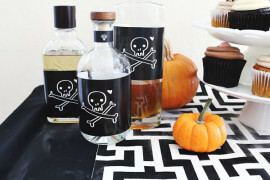 Turn to some uber-easy crafts like the Halloween Witch Hat or the tiny Popsicle mummies that seem more fun than scary. 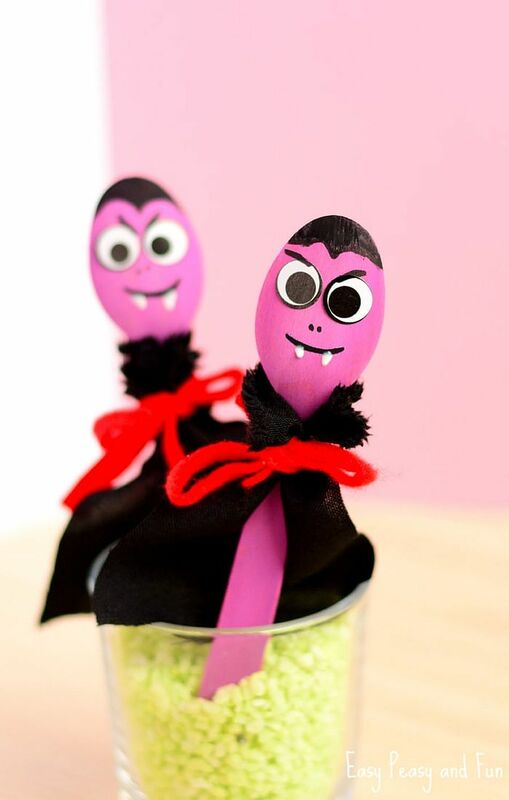 Ideas like the Halloween Witch Tea Light Magnets take a bit more effort while Vampire wooden spoon puppets take far less time to craft. 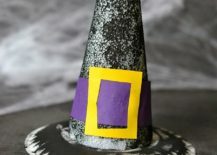 Make sure that kids do get involved at some level in these DIY projects as these are essentially ideas for the little ones. 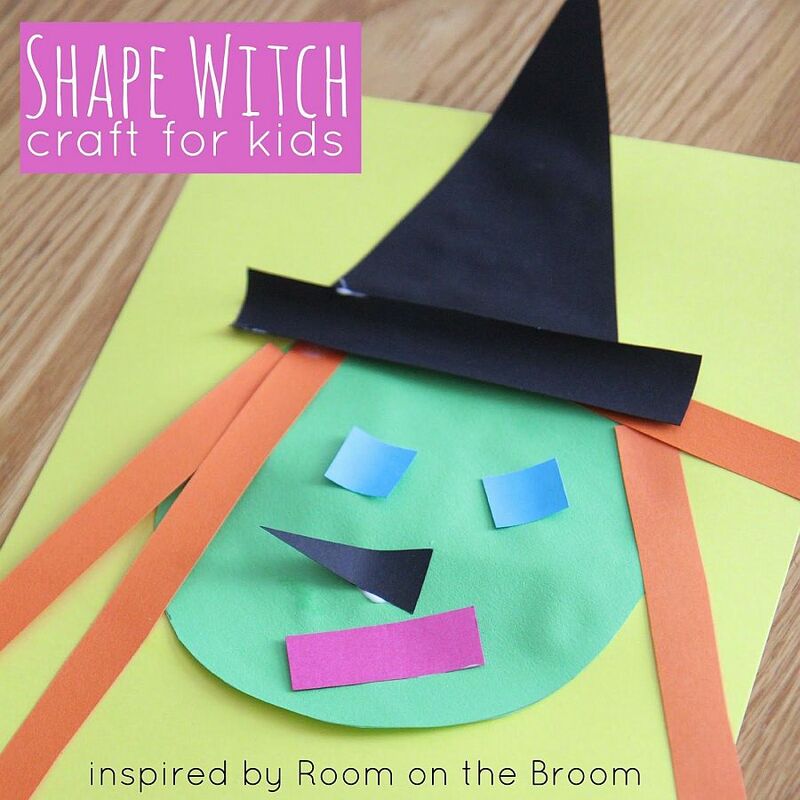 If there are parts where you need to use scissors, then take over and get it done and the little magic workers can do the rest with ease. 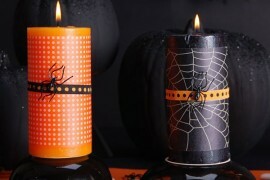 You can even start early on Halloween day itself and your home would be ready before darkness sets in! 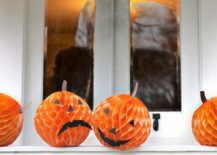 Pumpkin emoticon crafts for kids not too fond of the scary! 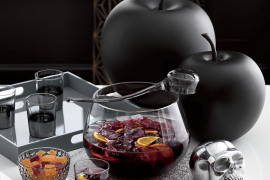 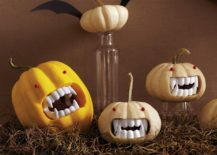 This might seem like something that we tend to focus on far less here on Decoist, but when it comes to Halloween you simply cannot ignore the ‘treat’ part of it all. 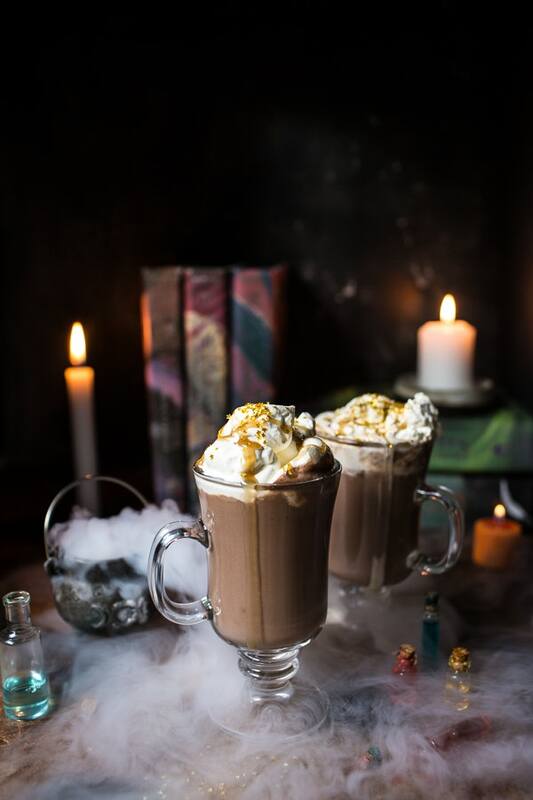 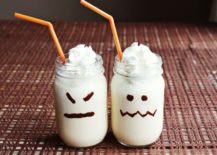 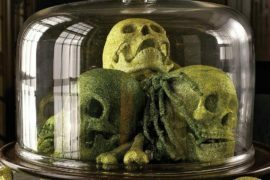 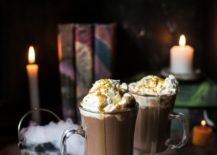 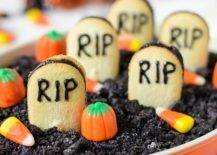 Foods that combine Halloween theme with deliciousness galore are easy to make and once again do not take up too much of your time. 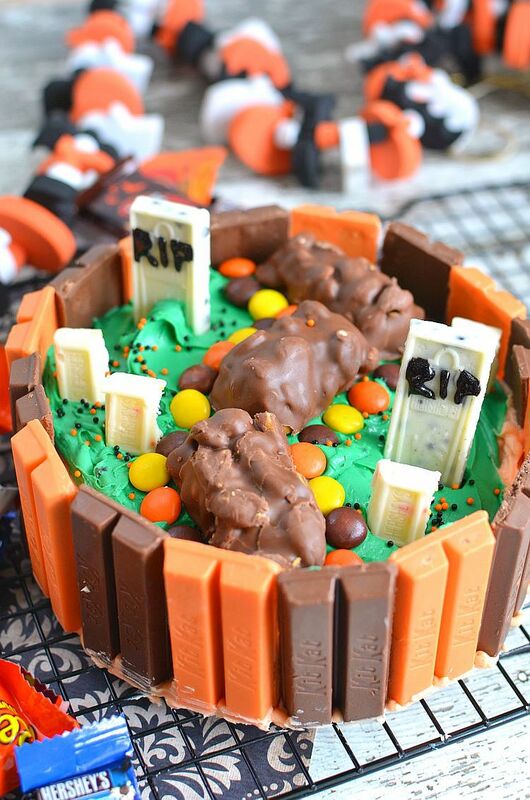 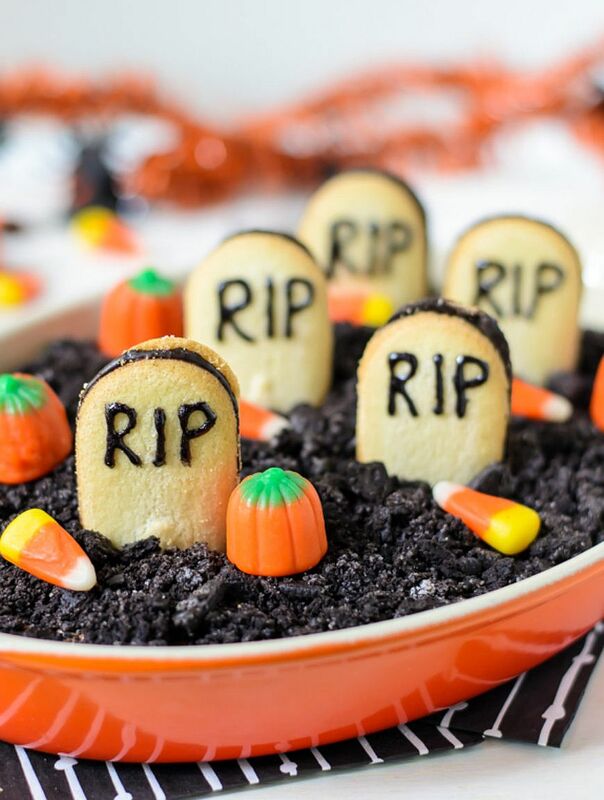 Candy-filled marvels like the Graveyard chocolate cheesecake and the candy bar graveyard Halloween cake are bound to a hit with the kids. 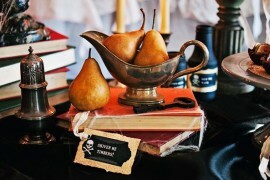 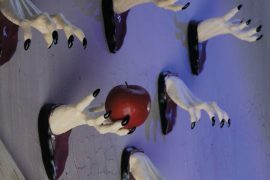 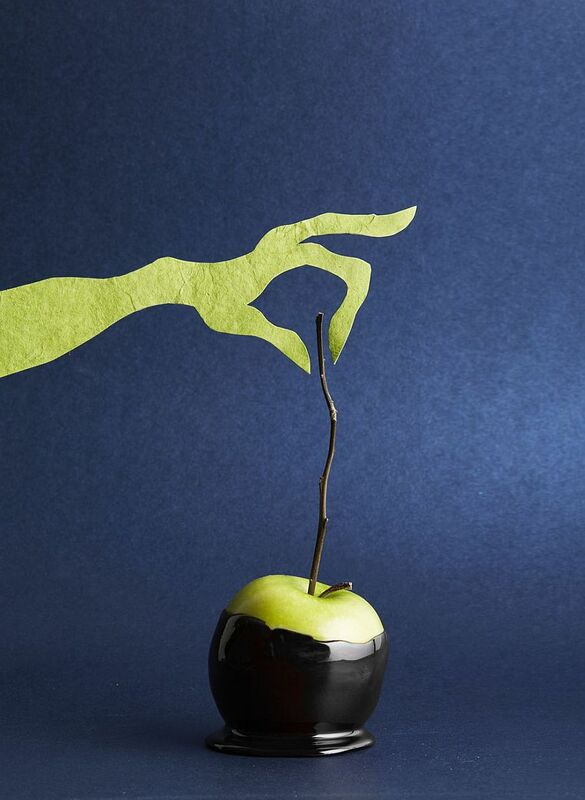 For those who wish to try out something more exotic, the poisoned candy apple is a welcome challenge indeed. 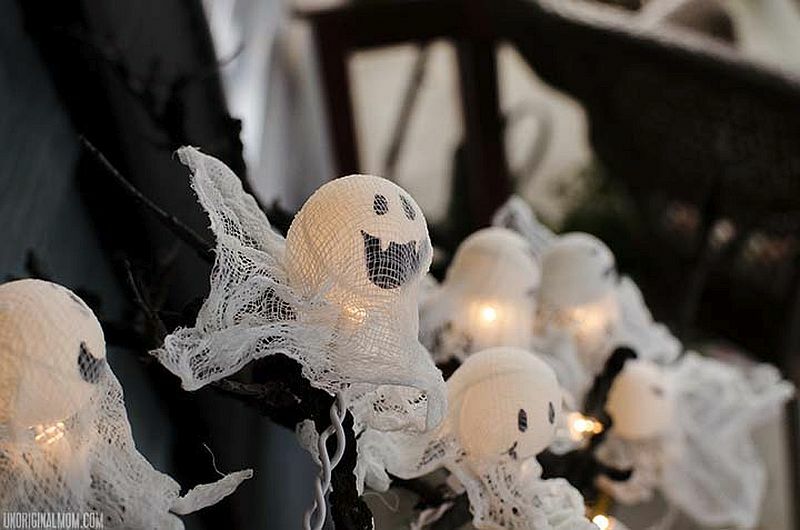 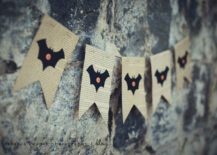 Garlands, wreaths and banners – these cool additions are a must for pretty much every celebration in the festive season and it is no different for Halloween. 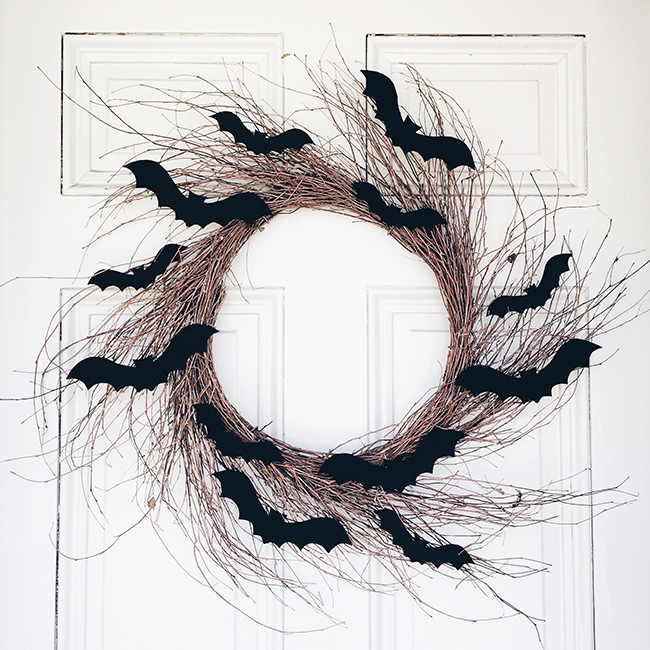 Even if you have not completely decked out your home with creepy motifs and spooky lighting, just hanging a Halloween-themed wreath, a few banners and garlands all around the house and some on the window can do the trick! 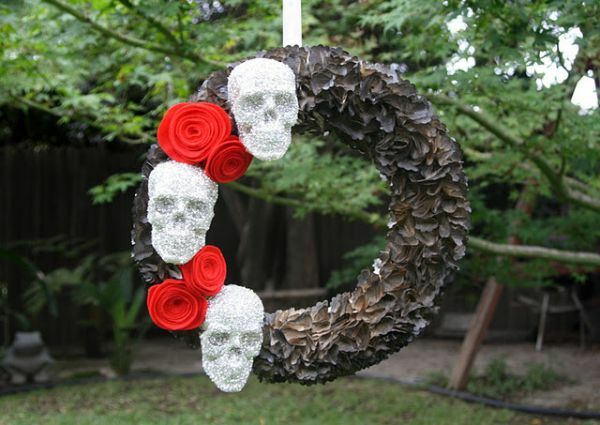 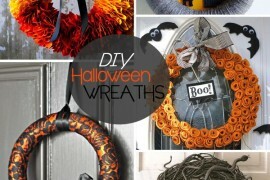 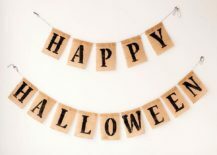 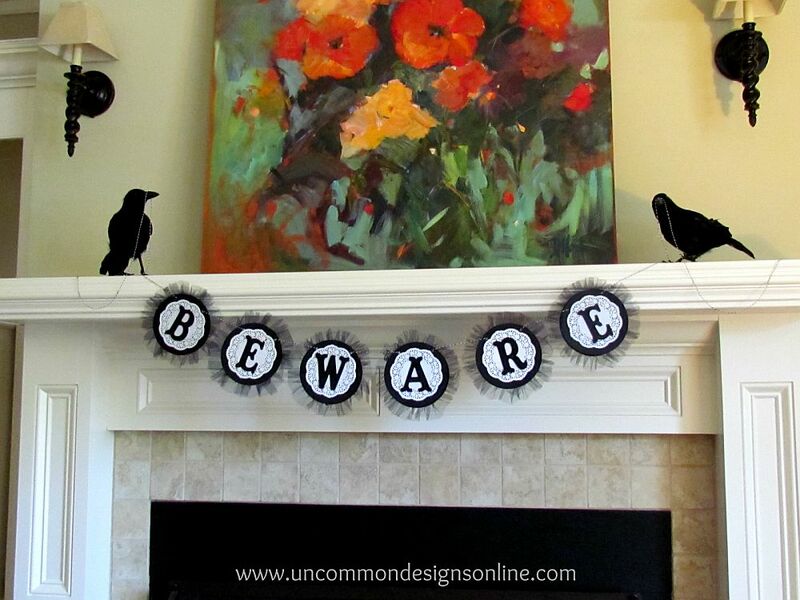 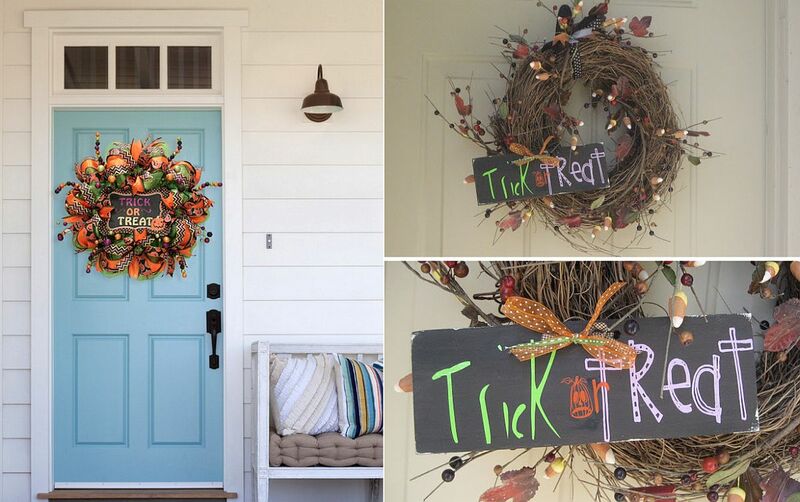 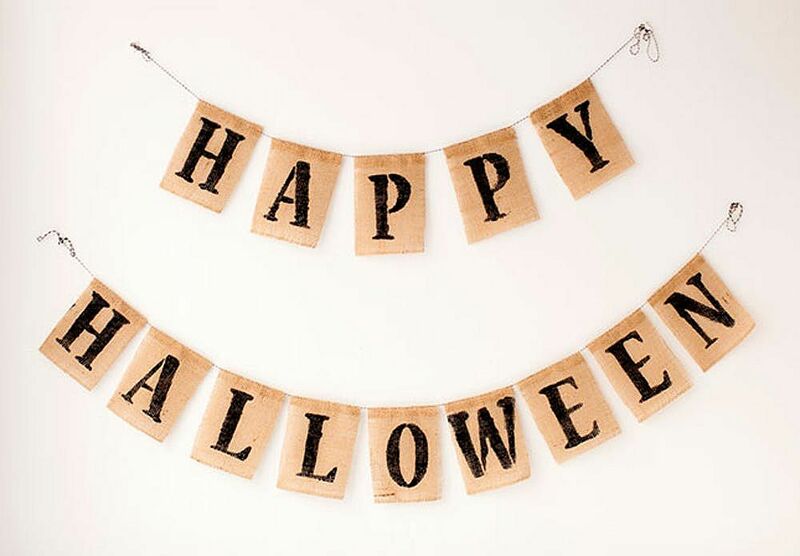 Start off with something as basic as a burlap Happy Halloween garland and a embroidery hoop wreath if you are really pressed for time before moving on to anything more fancy. 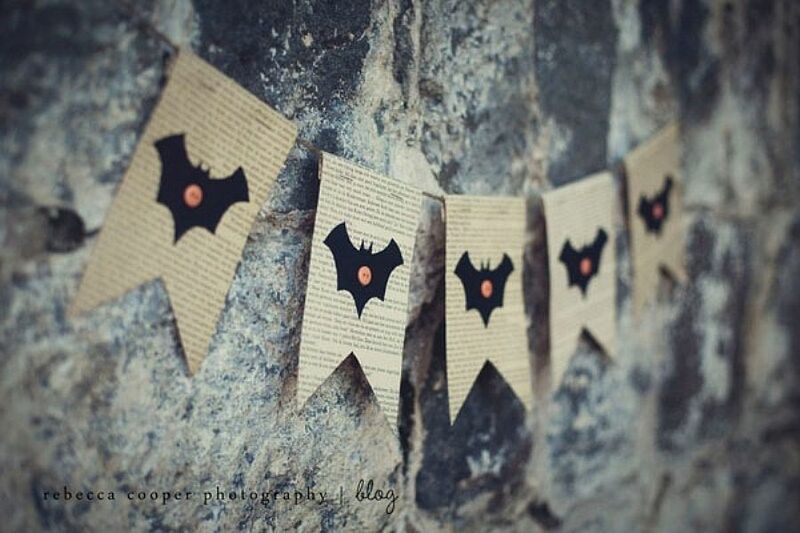 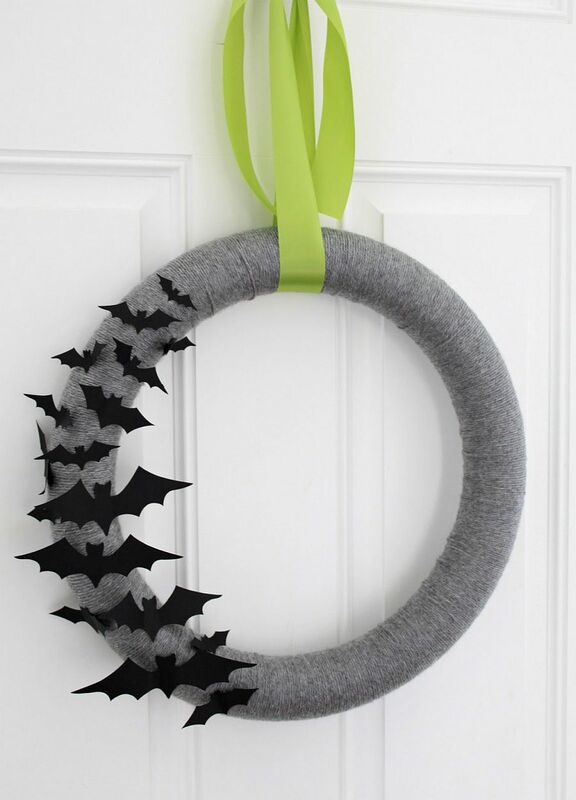 Halloween bat wreath is a hit every year! 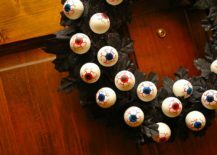 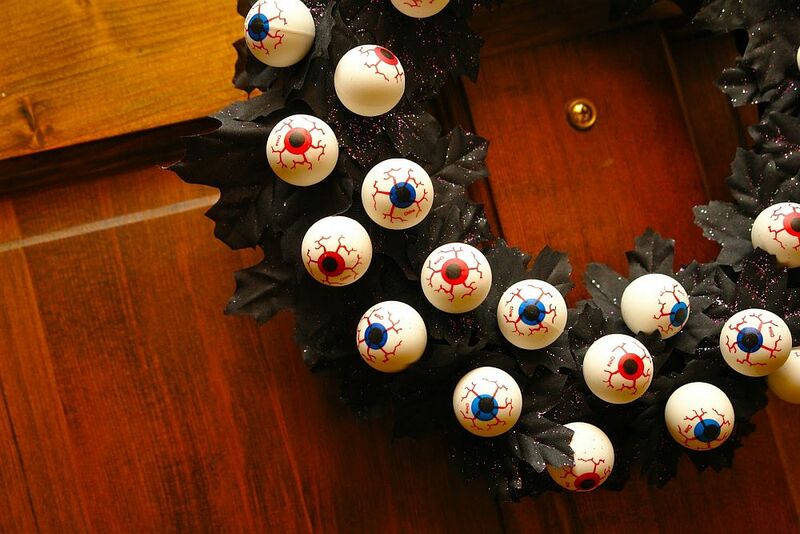 The Halloween eyeballs wreath and the Pinecone monster wreath are two creative designs that feel both fun and eerie at the same time. 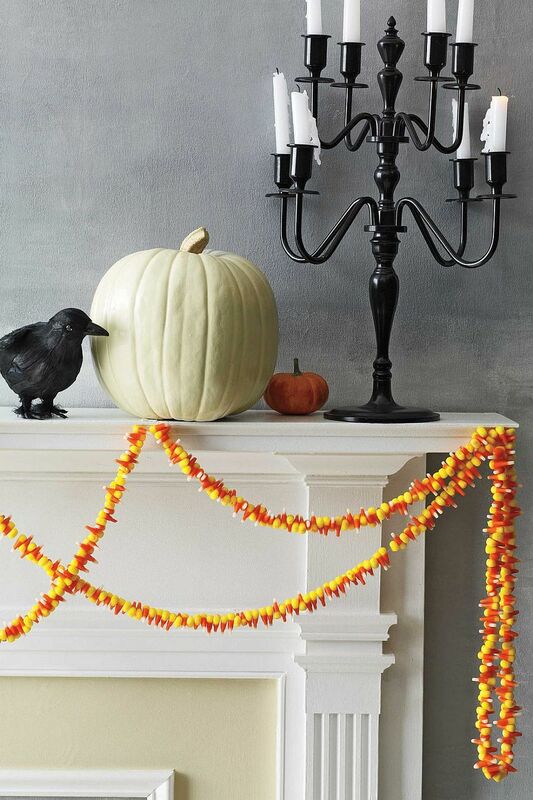 A vintage Halloween garland with bats and pumpkins can find space pretty much anywhere – from the fireplace mantel to the window sill. 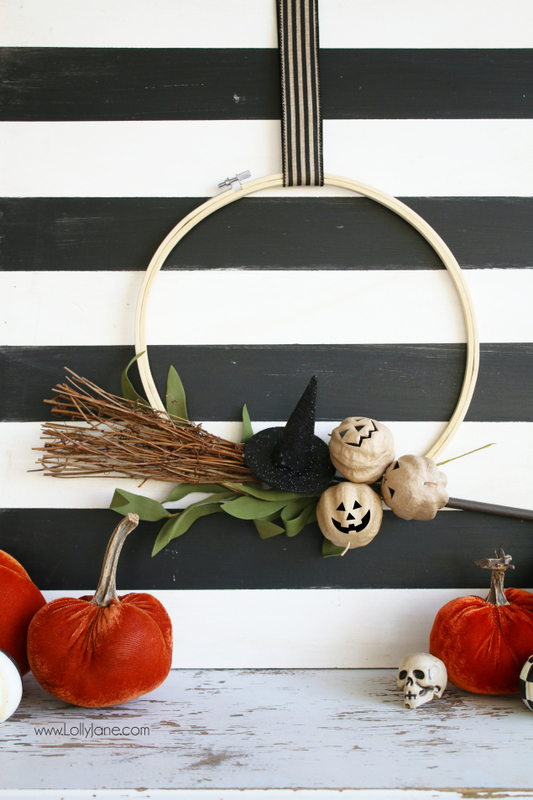 The trick or treat wreath is another one of our favorites this year that is a must try! 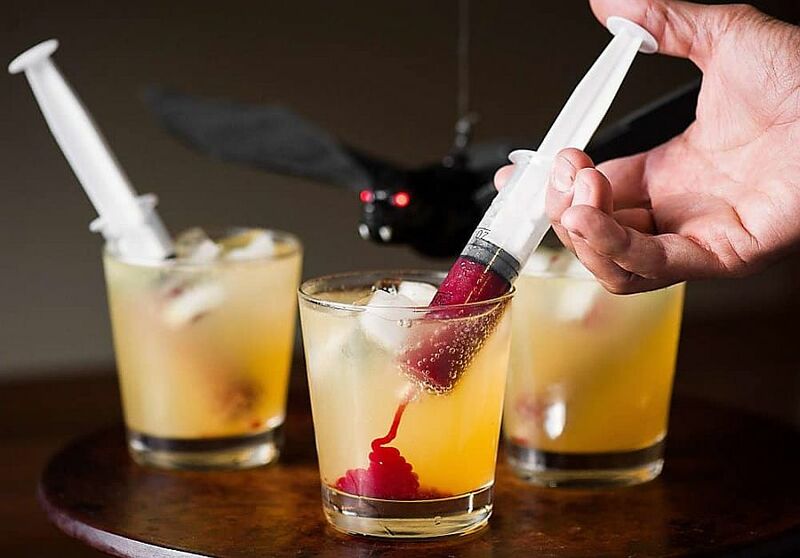 Yes, it has been done to death before on Halloween (excuse the pun). 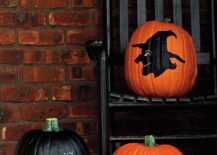 But pumpkins and jack-o-lanterns are still the most popular decorative items on the scariest night of the year and for good reason. 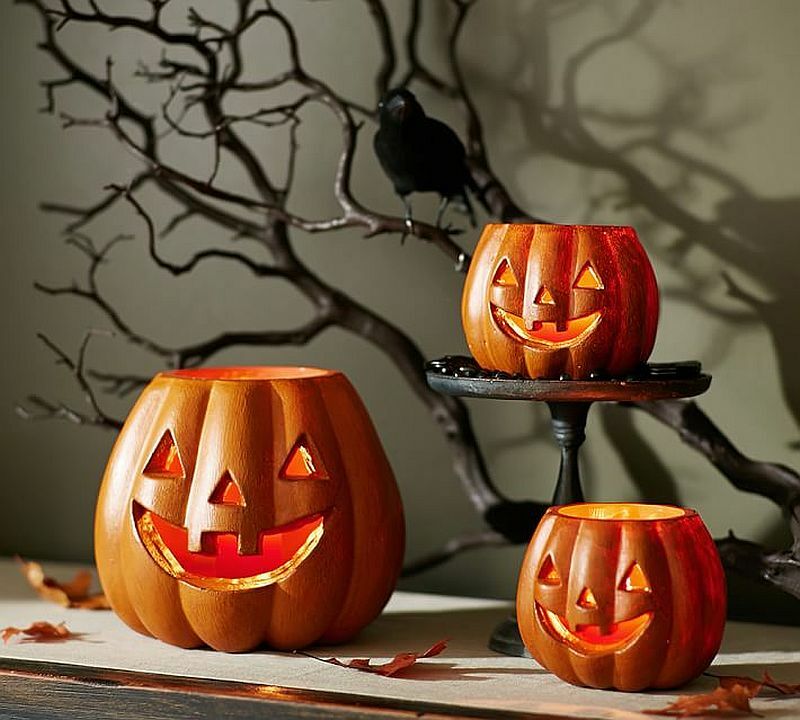 Pumpkins represent fall at its vibrant best, they are easy to get this time of the year and carving one does not take up a whole lot of time; even if your knife skills are average. 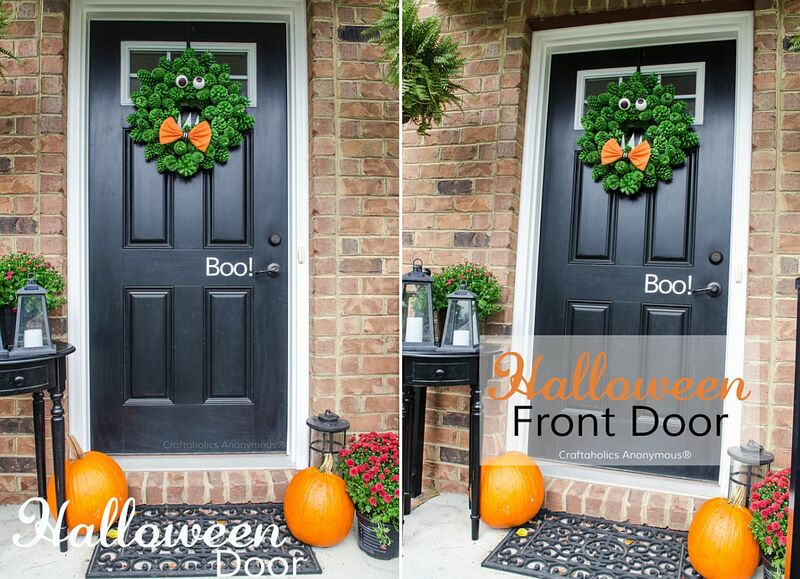 From the entryway and door to fireplace mantel, yard and bedrooms, pumpkin-filled Halloween decorations find place everywhere! 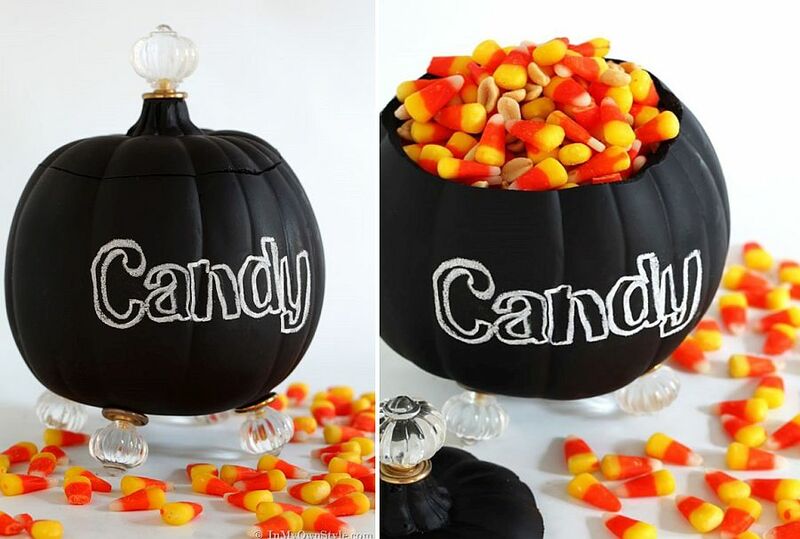 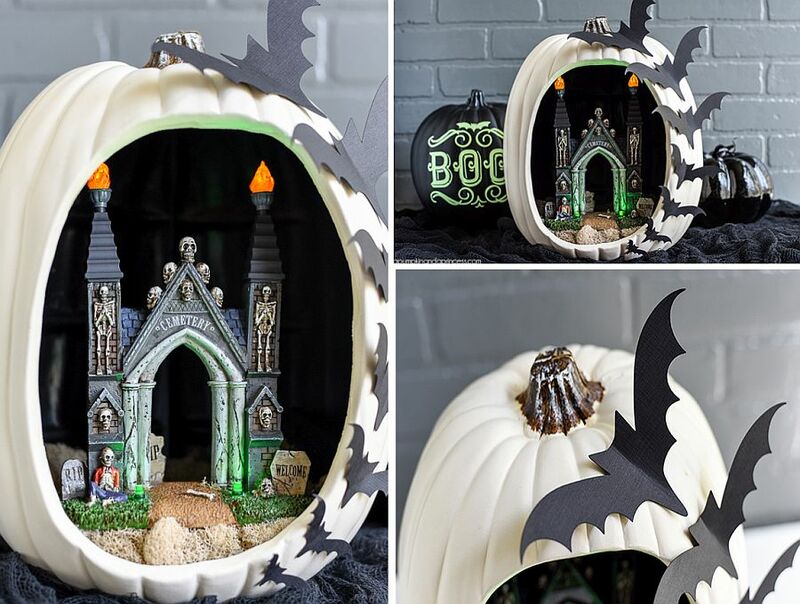 DIY candy jar carved from pumpkins! 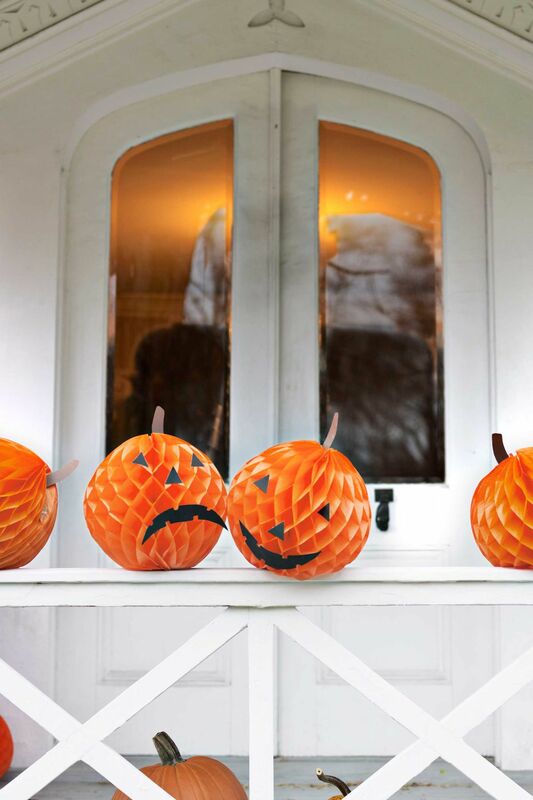 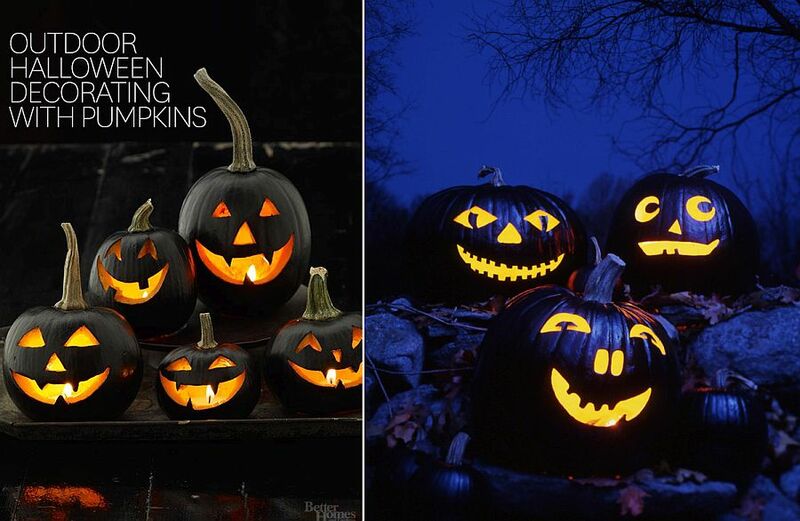 Pumpkin carving and jack-o-lanterns can help create the perfect Halloween in no time at all! 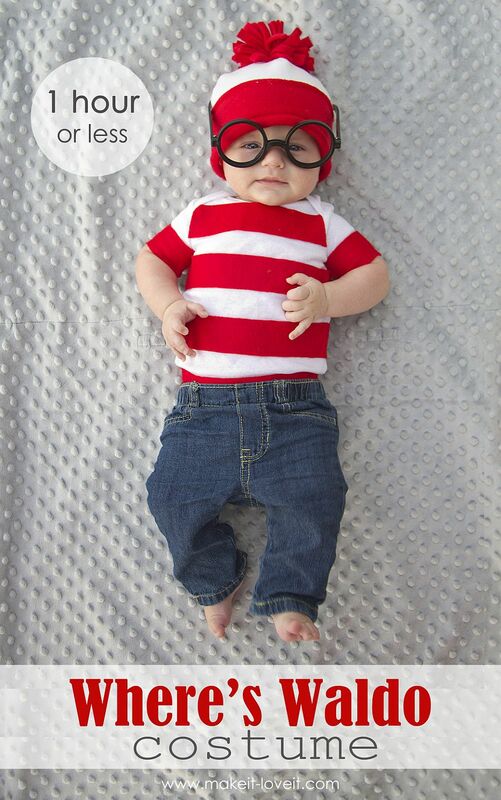 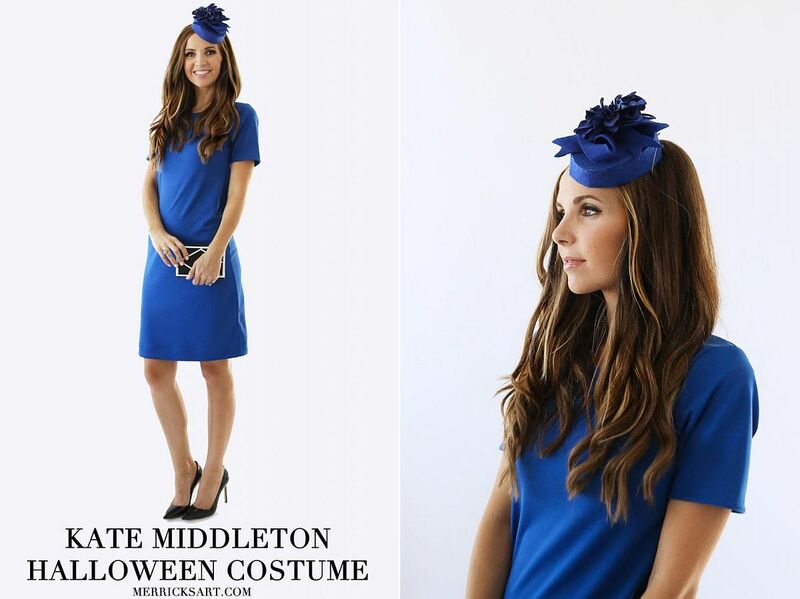 What is a Halloween party without a great costume, right? 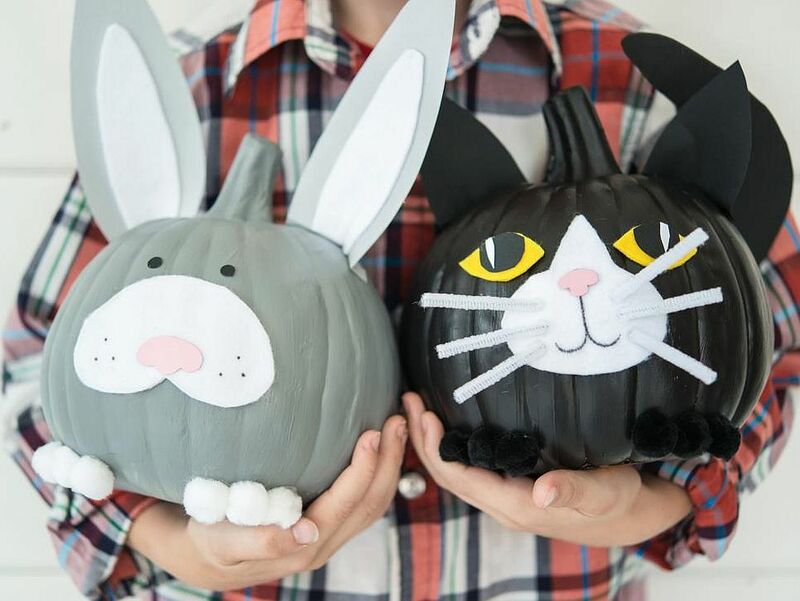 This Halloween, go down the DIY path for your costumes and before you fret too much, the choices are both glamorous and endless. 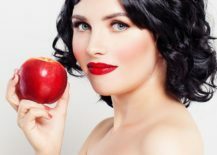 From Catwoman, Medusa and Posion Ivy to Kate Middleton and Audrey Hepburn, gals can look both hot and a touch crazy with these easy-to-create looks. 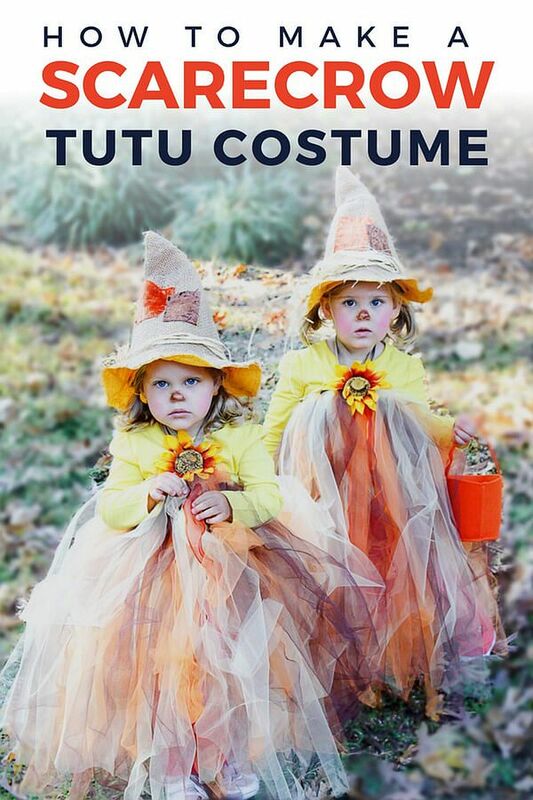 For the little ones, the homemade scarecrow tutu costume is our absolute favorite while the Where’s Waldo look comes in a close second. 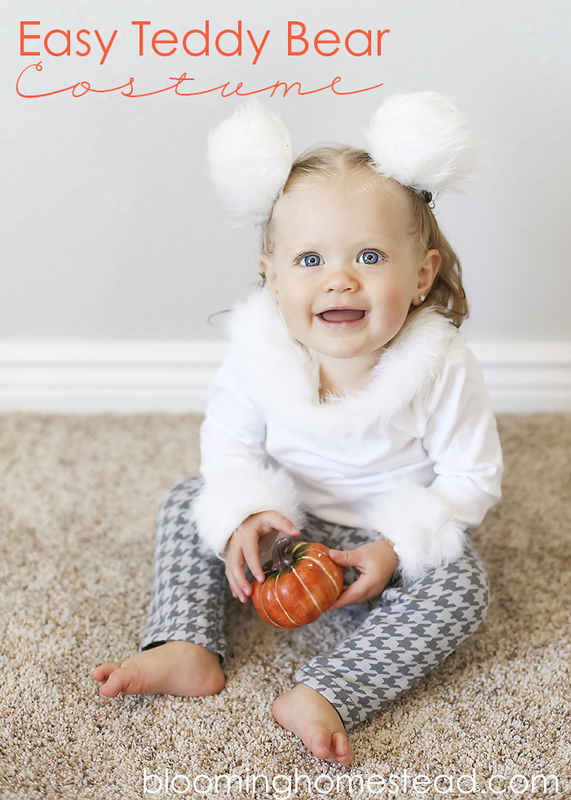 For toddles, the easy Teddy Bear costume is an idea that you can put together with little work as you get them ready for an unforgettable photo shoot. 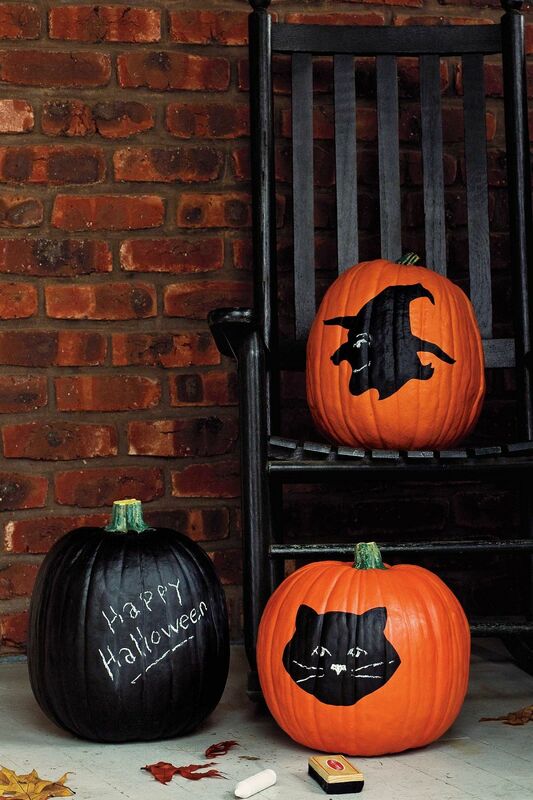 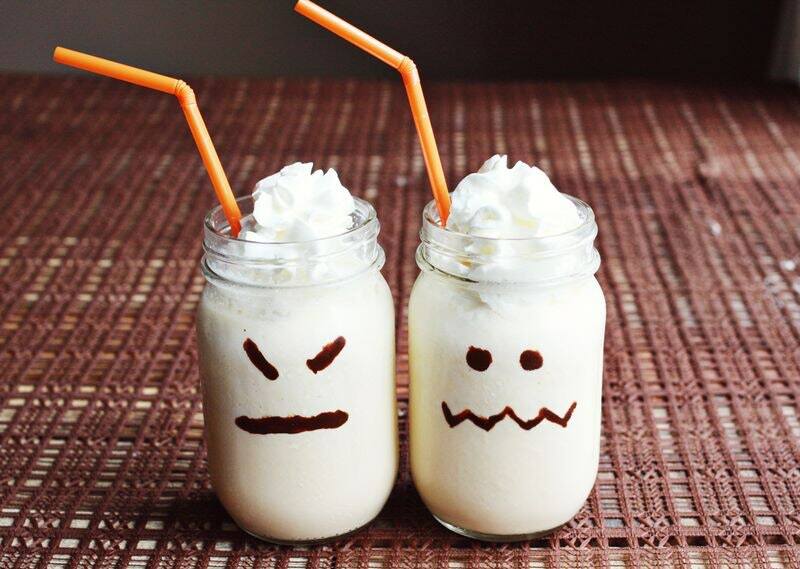 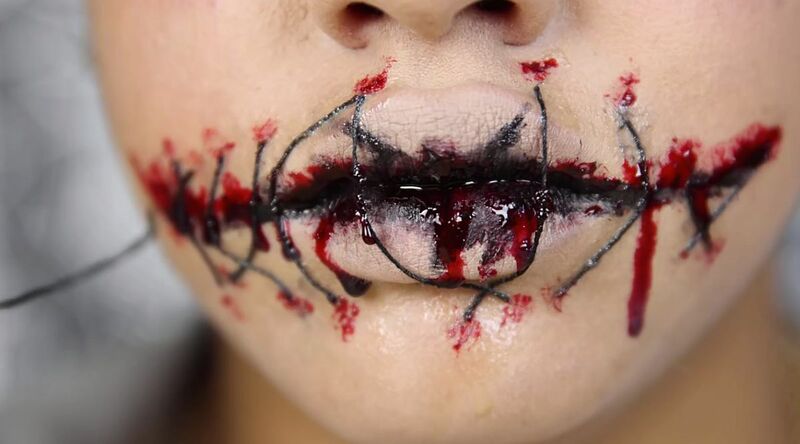 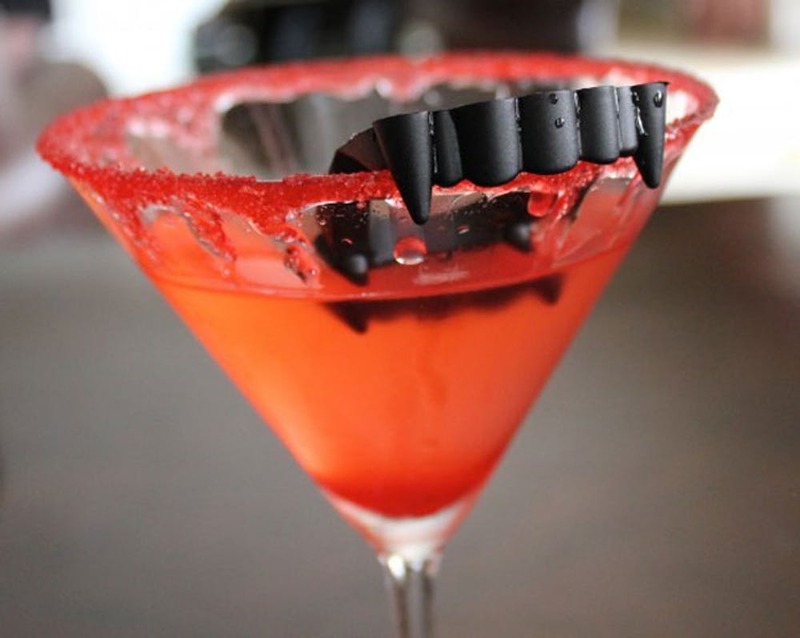 Who says things have to be plain scary on Halloween night!